Forget tea. Here's Hot Cocoa for Two. 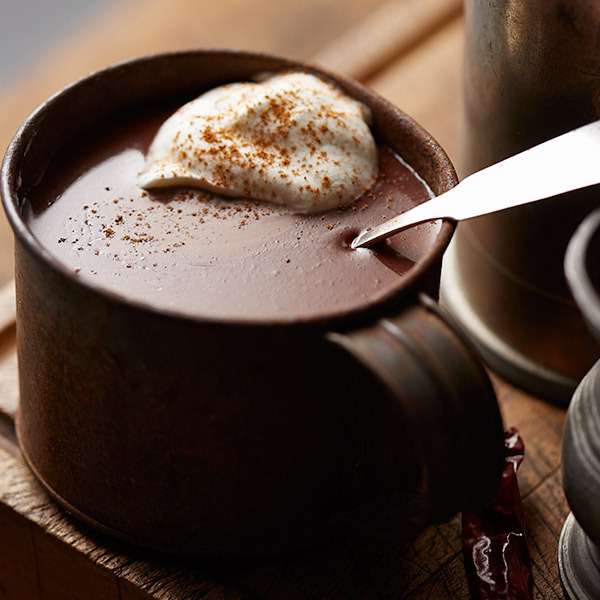 Hallmark's hot cocoa recipe makes just the right amount of genuine, creamy hot chocolate for a special night in or a heart-to-heart with a friend. Definitely the beverage of choice for chocolate lovers of all ages! Combine cocoa, sugar, vanilla, cinnamon and salt in a small microwave-safe container. Add enough of the milk to make a smooth paste. Microwave until warm, 2 to 4 minutes, depending on your microwave. Pour into two mugs and top with whipped cream.